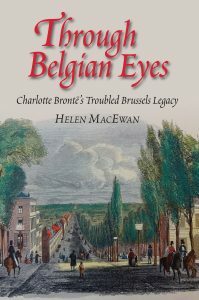 Much has been written about the Brontës and Yorkshire but guest writer, Helen MacEwan gives us an insight into Charlotte and Emily Brontës’ time in Brussels and how that period, in particular for Charlotte had a great influence on her later writing. The Brontë bicentenaries (2016-20) have been marked by a steady flow of books inspired by the famous siblings and their works. Yet there has been little focus on one of the most interesting episodes of their lives. The fact that Charlotte and Emily lived in Brussels in 1842-43 barely registers with the general public. In the popular imagination they are invariably associated with the Yorkshire moors and not with the Belgian boarding school where they were pupil-teachers – Charlotte for two years, Emily for one. Exposed to a continental and Catholic culture diametrically opposed to their own, the sisters suffered from what would today be called culture shock. It reverberates through the pages of Villette and the earlier novel The Professor, and acted as a potent stimulus on Charlotte’s imagination. For her, the Belgian stay (its influence on Emily is more difficult to gauge) was one of intellectual and emotional development. In Constantin Heger, the husband of the school’s directress, she found a mentor who not only taught her French but engaged with her about literary composition. She fell in love with him. The heart-rending letters she wrote him after returning to Yorkshire – torn up by Heger and stitched together again by his wife – were published in 1913 and are now in the British Library. The experience caused her anguish but inspired her most autobiographical and in many ways most interesting novel: Villette, closely based on her time in Brussels, with its schoolteacher heroine Lucy Snowe and schoolmaster hero Monsieur Paul, modelled on Heger. Brontë fans sometimes manage a weekend in Brussels to walk in the sisters’ footsteps. It’s not an easy task given that so much of the city of the 1840s has disappeared, but there’s still plenty to savour if you prepare your visit. You can see the Protestant chapel where they worshipped and the park in which Charlotte sets a memorable scene. Sadly, the Pensionnat Heger, the school where they stayed, was demolished in 1910. Unusually among Brontë fans, I had tracked down the sisters’ traces in Brussels before ever setting eyes on Haworth. When I moved to the Belgian capital in 2004, I became fascinated by their time there and set up a Belgian branch of the Brontë Society. I first visited Haworth a couple of years later. I couldn’t help but be moved by my first sight of the Parsonage, long deferred in part out of fear that the reality would fall short of the picture painted by biographers such as Mrs Gaskell. Since then, I’ve been back to Yorkshire many times to discover its Brontë associations. But the less-known Brussels link has a special magic for me. One reason for this is the power of Villette, published shortly before Charlotte’s death. Few mid-nineteenth novels take us so completely or startlingly into the mind of their narrator – a heroine as passionate and rebellious as Jane Eyre, and more complex psychologically. Lucy Snowe may not be Charlotte in all respects but much of Charlotte’s real life fed into the book: not just her time in Brussels but her situation years later when she was writing it, after the death of all her siblings. Villette is also remarkable for its sense of place. The atmosphere of the Pensionnat is conjured up so powerfully that it lives in your imagination more vividly than if the building had been preserved as a museum. Brontë biographers, like Brontë fans, seldom do more than a few days’ research in situ in Brussels. As a fan who has lived and worked there for the past 13 years, I have dug into the background to The Professor and Villette. I have explored Belgian commentators’ reactions to Charlotte, and found them surprisingly forgiving of her disparaging remarks about the country. Her passage through Brussels and unrequited love for her tutor have entered the city’s literary legends. Her novels are read as a portrait of Belgian life just after the country gained independence (in 1830). Belgian critics are intrigued by the view of their city and culture through Charlotte Brontë’s eye; in turn, viewing Charlotte Brontë through the eyes of her Belgian readers has given me a new perspective on her. Fascinating as the Brontës’ Yorkshire roots must be to anyone interested in the family, their Brussels experience is well worth dipping into. 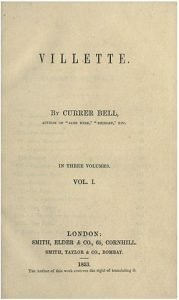 My exploration of it has shown that although the Brontës are among the most written-about writers in the world, there are still new angles to discover. 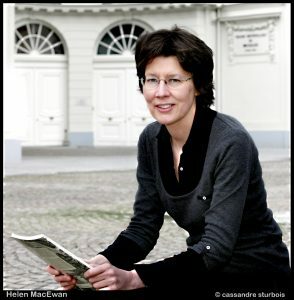 Helen MacEwan is founder of the Brussels Brontë Group (thebrusselsbrontegroup.org), which organises talks and guided walks in the city. Her books include the illustrated guide The Brontës in Brussels, and Winifred Gérin: Biographer of the Brontës. Her latest book, Through Belgian Eyes: Charlotte Brontë’s Troubled Brussels Legacy, looks at Belgian reactions to Charlotte Brontë and the Brussels background to Villette and The Professor. You can contact her on helen.macewan@gmail.com. Previous story #foundfiction Launch. 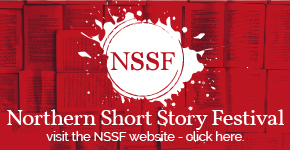 A Guerrilla Publishing Experiment that Connects Readers and Writers Across the World.